Sept, will be one year for me flying! Jon, was my instructor, and sometimes Ben. It’s been a great ride, And I’m so glad that, me and Pauly, went out to the airport, that day. It’s just a great hobby, and all the people in the Eagles club will do anything to help you out, as long as you show them you are serious about learning to fly! I would not have done it if Montana Bob had not come over to me and Pauly, and said, “Hey, we will teach you how to fly for free!” “We have a club trainer plane to get you started. Then you can buy your own trainer… and if you will make the commitment, and come out on your weekends off, we will teach you to fly RC on that trainer!” … I said “Really? !… OK, I’m in!”… So I hooked up with Master Jon, my instructor. 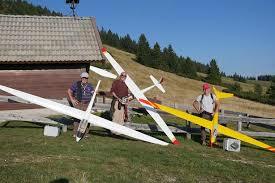 My RC plane flight experience goes back 40yrs. Now that does not mean I got 40yrs flight experience! It means when I was 18 yrs old, I was an avid backpacker and camper. Me and my friend would spend a week or more backpacking on the AP trail, and all over the Smoky Mountains. One day, we are hiking up to the top of these 6400ft grassy mountains called the Shining Rock. Wilderness Area (Google it)… As we were walking up the hill, we see these two gliders flying over the mountain. When we got to the top, there were these two old guys… they must’ve been 34-40, ha, ha… flying these gliders; 6ft wing, no motor, and soaring for 30 min at a time and then landing them in the grass! That blew me away! First thing I did when I got home was order me a Gentle Lady kit! I worked on that thing every day when I got home from high school. It took me two months to build it and cover it. I had no internet and had to go to the library to get books on how to cover the model. No electric motors back in 1975…. but I bought a Cox .049 engine with a plastic on-top-of-the-wing motor mount. It had a tiny gas tank… just enough to get the plane up and then run out of gas. So I got it all ready, took it up to the local high school football field. It was not a perfect day to fly… foggy, low clouds… but I didn’t care. I started that little .049 and could smell the gas, and I tossed it! What a beautiful site. Up, up up, and it kept going up! I was flying, but it kept going up into the fog, and…I lost it! Then I see it coming out of the cloud… headed strait down into the ground! TOTALED! That was the last time I flew an RC airplane… 40yrs ago!… Until I met the Eagles in 2017. Thanks Eric for getting the ball rolling! Worth tells a great story face to face as well. He has other great stories to tell so chat him up, he’s taught me a few things and we always have fun.